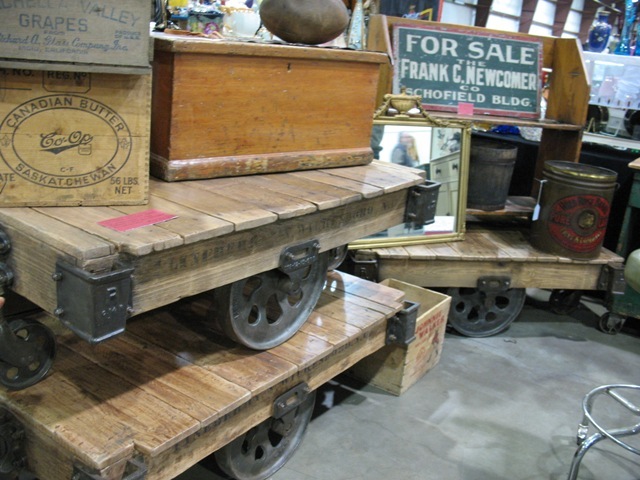 « Mad Picker’s New Antique and Collectible Show…The Big One! There are a few shows coming up this weekend, March 21 and 22, 2015 that might be worth checking out…especially if it continues to rain. In Vancouver on Sunday, March 22, the 21st Century Flea Market at the Croatian Cultural Centre (3250 Commercial Drive) is always a great way to start the day. Doors open at 10am ($5 admin. fee) but for the eager early birder, you can come in any time after 7am for $20 (kids under 13 come in for free with parents). The benefits of paying the extra money is that you are likely guaranteed a parking spot and you get first dibs on everything as the dealers are unpacking and setting up. I would suggest coming in around 7:30am or 8am as by then most of the dealers will already be done. However, coming in earlier gives you an opportunity to chat with the dealers and find out if they might have what you are looking for. And, anytime before 10am is also nice because you beat the crowds and have time to really see what is on display in each booth. Either way, always a good show to check out. There are four rooms with over 175 vendors who specialize in everything from shabby chic to 50’s kitsch, collectibles and memorabilia to jewellery, vinyl records, china, folk art and Native art and artifacts. Parking can be a bit stressful. Although it is free, the lot beside the Croatian Cultural Centre gets full early with the early birders. You can park on the street and in the neighbourhood, but do check out the parking signs as they will tow if you park in a no-parking or resident only zone. You can buy lunch and snacks on site, often a great hot meal for a very reasonable price. But being the coffee snob that I am, I would suggest bringing your own coffee (Starbucks and Blenz at Commercial and Broadway). Best to bring cash but there is an ATM on site if you run out (however the user fee is quite high). Gale Pirie will also be on site to do verbal appraisals for $10/item (or 3 for $25). This is a great option if you have something at home that you are not sure what it might be worth or where it comes from. If you are in the mood for a road trip, you might want to head out to Abbotsford to the A ntique Expo at the Tradex Exhibition Centre (1190 Cornell Street). This is a two day show: Saturday 9am to 5pm and Sunday 10am to 4pm. The admin. fee is $7 and lots of free parking (kids under 13 come in for free with parents) . This is a nice show with dealers coming in from around British Columbia and some even come in from other provinces. What I like about the larger two day shows is that you will find larger items including some exquisite furniture from a variety of eras. Last time I was there I also noticed of lot of very cool industrial pieces that were the perfect blend of functionality and rustic charm. 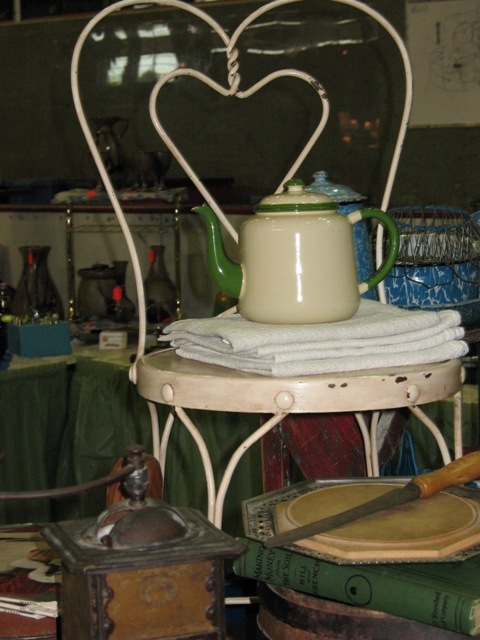 But like other antique shows, there will be several other items to discover including china, silver, jewellery, vintage and retro clothing/accessories, folk art, memorabilia, collectibles, Native art and artifacts, and so much more. There is also an antique identification clinic on site, $12 per item. If you plan to be there for a while you can have lunch and snacks onsite and there is also an ATM machine for those extra purchases (but be prepared for high user fee). Again, I would suggest bringing cash but some dealers may be able to accommodate credit cards. If you are not sure how to get there, check out their Web site for directions and transportation options.